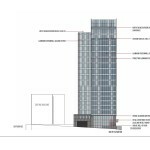 GBD Architects have presented their proposed Broadway Tower to the Design Commission at an optional Design Advice Request hearing. 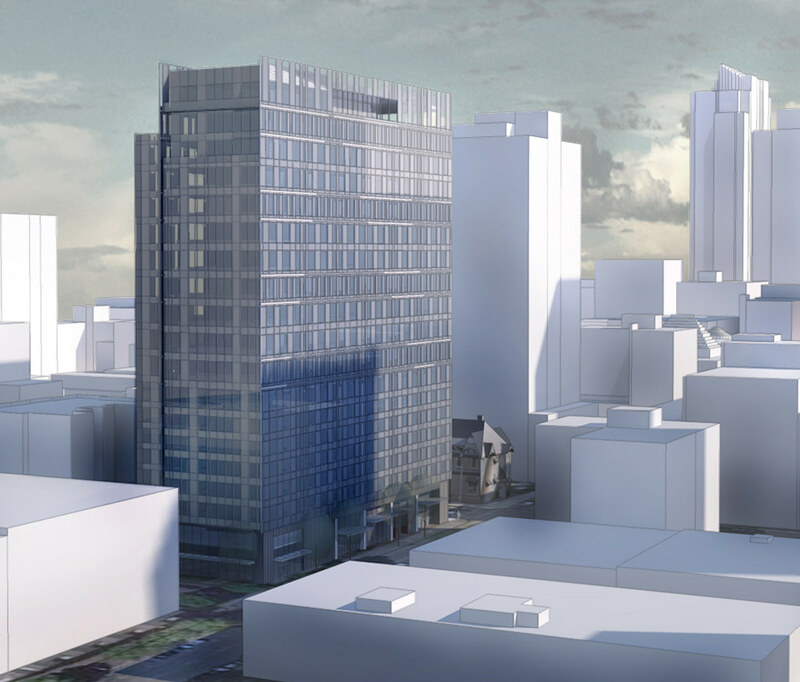 The project by developer BPM Real Estate Group will include 170 hotel rooms on 7 floors of the 269′-8″ tall building. 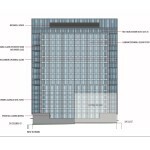 Located above the hotel will be 11 office floors, with 200,000 gross sq ft of space. 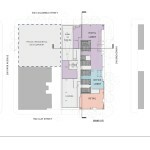 A retail unit will be located at the corner of SW Broadway and Clay St. 320 parking spaces would be provided in 4 levels of underground parking. Roof decks will be provided at levels 17, 18 and 19. The project site is three quarters of the block bound by SW Broadway, Clay, Park and Columbia. A residential building at the corner of SW Clay and Park is not part of the site. The site is mostly used for surface parking, with the exception of the one eighth block Oregonians Credit Union building at the corner of SW Broadway and Clay, which will be demolished. 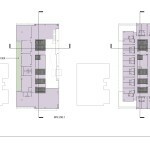 The quarter block facing facing the Park Blocks has residential zoning, and therefore cannot be used for the hotel / office developments. 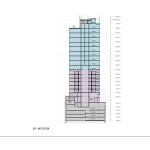 At the Design Advice hearing it was indicated that the owner may sell the block off separately for residential development, develop it themselves at the same time as the tower, or develop it later. 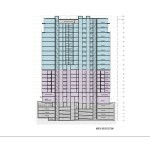 The primary material for the tower will be an aluminum curtainwall glazing system. 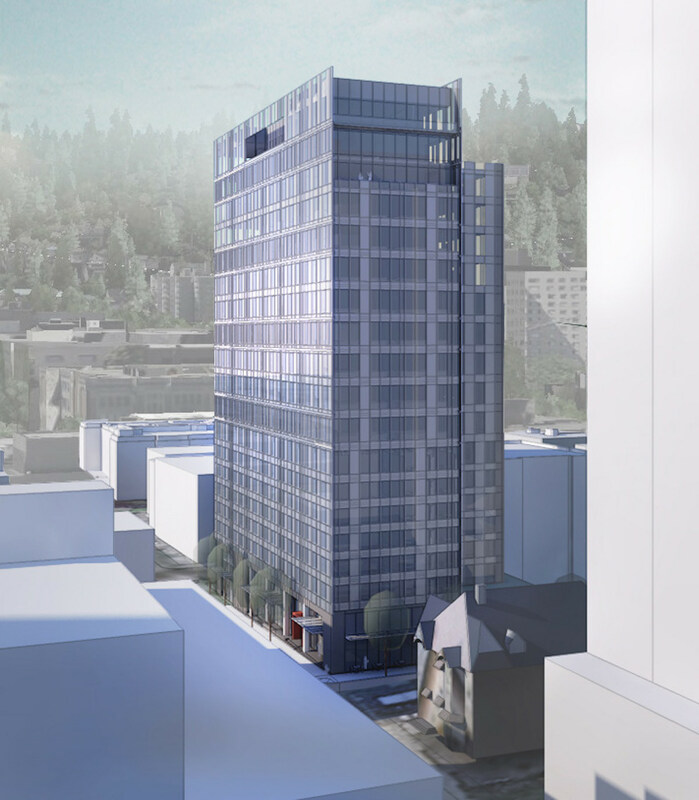 By the architects description the east facade is arranged with a “moving pattern of spandrel glass… influenced by the busy, connecting nature of SW Broadway”. The west facade facing the park blocks has a more regular rhythm. A memo [PDF] to the Design Commission, published before the November 5th advisory hearing, outlined potential areas for discussion. 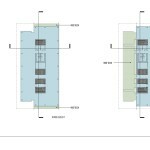 These included the Central City Master Plan to Increase Maximum FAR; the ground level treatment; the west wall materials; and a modification to the loading space size. The project was very well received by the Design Commission, with Commissioner Savinar describing it as “extraordinary” and “exceptional” on the east side, though noting he felt it falls a little flat on the west side. A staff suggestion to change the west elevation to terra cotta or pre-cast concrete did not find much support from the Commission. Most of the time at the hearing was spent discussing how the tower would gain the FAR needed. As with the recently approved Diane, a public benefit would likely be needed to allow the transfer of FAR from another site. Suggestions offered by the applicant included developing the residentially zoned portion of the site with a project that would include affordable housing, or transferring FAR from the Gerding Theater at the Armory with the condition that the money be used to pay off remaining debt from the theater’s original construction. 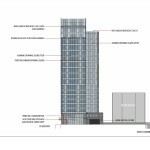 Two members of the public spoke at the hearing, both residents of the Benson Tower. 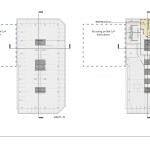 Concerns raised included the overall height and mass of the building, the potential impacts to traffic on Clay St, and the number of people who would be brought into the area throughout the day due to the dual use as a hotel and office. 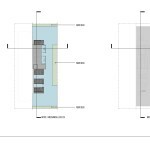 The applicants expect to return before the Design Commission with a full Type III Design Review application in early 2016, with the goal of breaking ground in May. 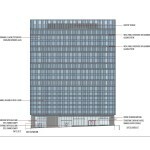 This entry was posted in BPM Real Estate, Broadway Tower, Downtown, GBD Architects. Bookmark the permalink. Nice addition to the area. 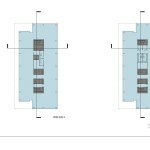 GBD Architects seem to always design high quality people friendly projects that enrich our city.